Diamond Halo Pendant. 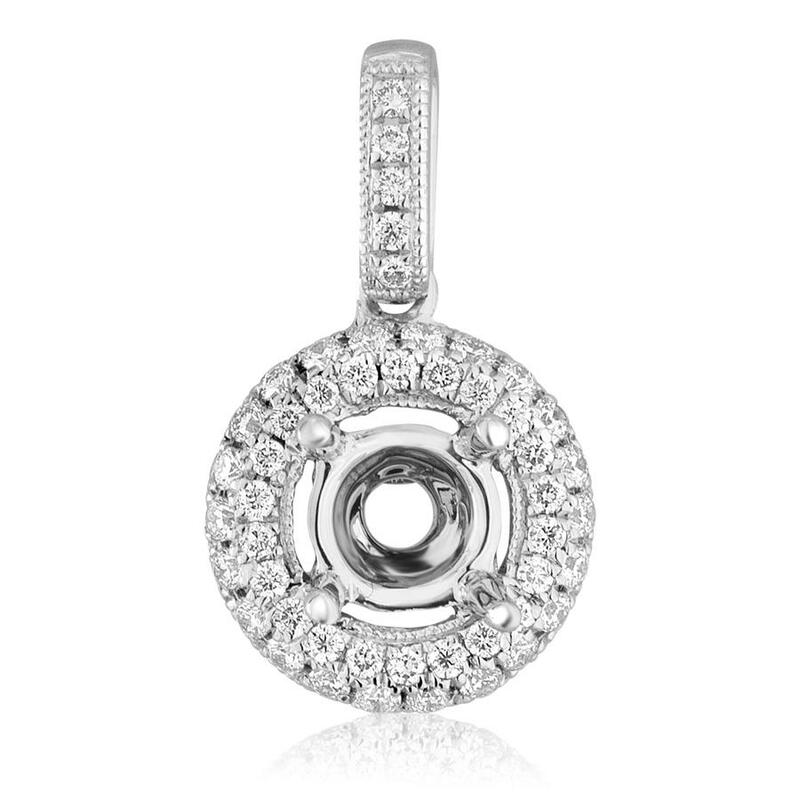 This pendant has diamonds on all three sides of the pendant and has a diamond bail. 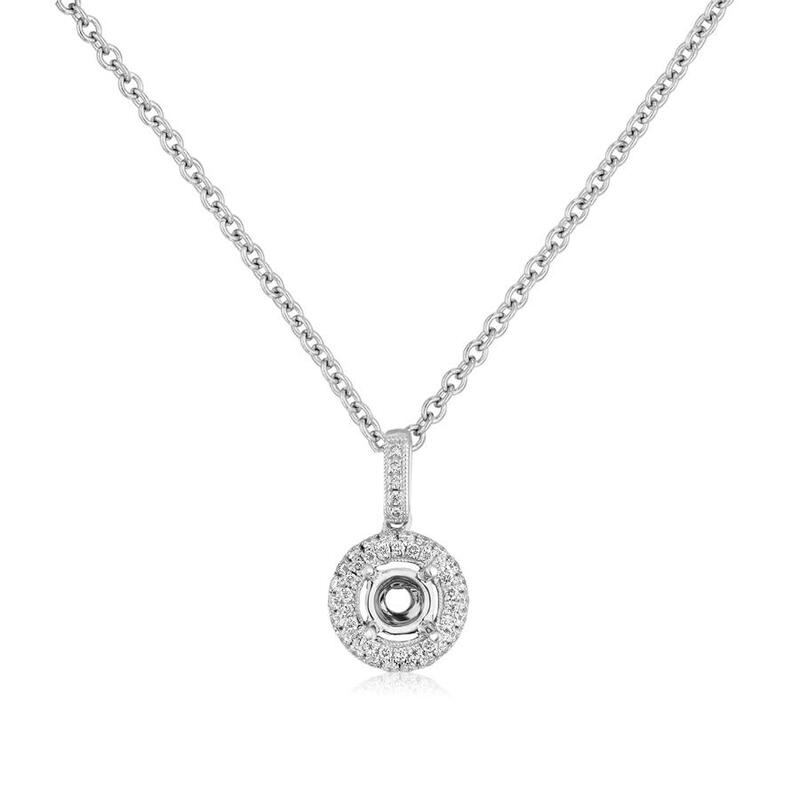 Pendant accommodates a 6.50mm round diamond.